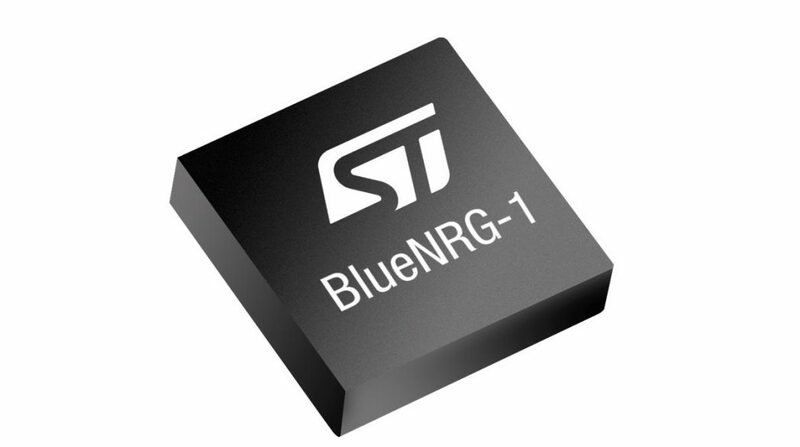 The first Bluetooth Low Energy SoC from STMicroelectronics has been announced. The BlueNRG-1 has an integrated radio transceiver, claimed to be extremely power-efficient in the modes frequently used by devices such as beacons when setting up short-duration connections for exchanges like sharing offers with shoppers’ smartphones. The ability to transition quickly between power-saving and active modes extends battery life from months to years. In addition, RF-output power is boosted to +8dBm to ensure clear and reliable communication for optimum efficiency, even in noisy environments. Value-added include a dedicated digital-microphone input that simplifies voice-enabled applications and 105°C maximum operating temperature suitable for smart-lighting and automotive applications (such as passive-entry-passive-start or onboard-diagnostic devices). Support for the latest Bluetooth Low Energy version 4.2 specification ensures advanced privacy and security. The single-core SoC features the 32MHz, 32bit ARM Cortex-M0 and 160kbyte of on-chip Flash memory to provide application-code and data storage. There is the possibility to upgrade the ST Bluetooth Low Energy firmware stack. There is also support for fast wake-up and sleep transitions, and sub-1microA standby current. The Bluetooth Low Energy stack is offered in the form of a ready-to-use linkable library. Library linking at build-time removes unused parts of the stack so as to ensure efficient memory use. Pre-certified profiles for medical devices, proximity monitor and other devices are provided, as well as tools and collaterals that support app development for iOS or Android devices. Peripherals that help simplify design and reduce component count include a 10bit ADC, SPI and I2C master/slave units, UART, and up to 15 user-configurable I/Os depending on package type. The SoC can be connected directly to the company’s single-chip balun for converting between the balanced transceiver signal and the single-ended antenna signal. The QFN device integrates a network of nine passive components on a single die using the company’s IPD-on-glass technology to save space, simplify design, accelerate time to market, and enhance radio performance. An ecosystem includes a software development kit with APIs, sensor drivers, sample applications and more. 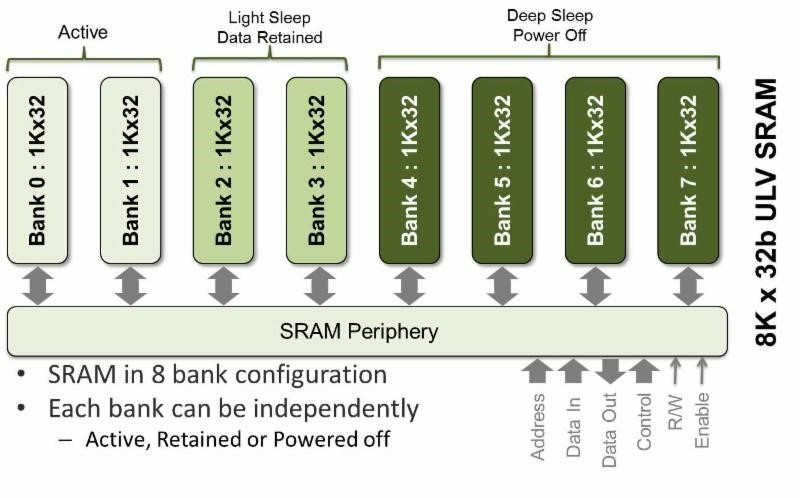 There is also a current-estimation tool that helps assess the effects of changing factors such as transmit output power, master/slave sleep clock accuracy, RAM retention, connection advertising or scanning interval, data length, and DC/DC converter activation. The SoC is scheduled to enter volume production in late July 2016 and will be available in two package styles: the BlueNRG-132 in a 5.0 x 5.0mm QFN-32 and BlueNRG-134 in a 2.7 x 2.6mm WLCSP-34.